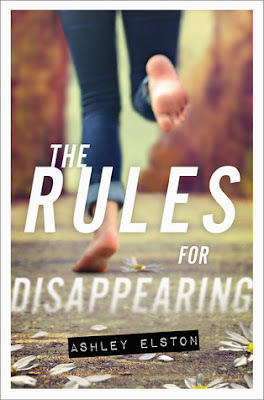 The Rules for Disappearing follows Meg as she tries to figure out what happened to land her family in the witness protection program. She has been in 6 placements since she got stuck in the program and her family is falling apart. Meg wants this to be her last placement but with her track record she isn’t hopeful. Possibly my favorite thing about this novel was that Meg had a part time job at a Pizza Place. When I was in High School my family owned a pizza place so I really relate to characters that work at family owned pizzeria’s. It also instantly biases me to enjoying a novel more when I see a character working. I really liked Meg she was very mature and willing to do anything to protect her family and those she cared about. My favorite thing about her was her relationship with her younger sister Mary. Meg took care of her, got her to school, and helped her come out of the shell that she had assembled because of the program. I also liked that Meg was really no-nonsense, she didn’t get roped in to school drama and she was willing to call people out. Another aspect of this novel I enjoyed was the relationship between Meg and Ethan. Ethan was both sweet and supportive. He didn’t press too hard when Meg was unwilling to give him information about her past, and when everything did come out he was there for her and willing to do anything to help. He was the model of how a good boyfriend should act. Overall, I really enjoyed The Rules for Disappearing it was action packed with enough twists and turns to keep me interested and I am eagerly looking forward to the sequel! There is a steady stream of customers for almost an hour. I don’t know how she would have pulled this off by herself. A few people come in from school. They nod but don’t speak to me other than placing their order. Eventually, things settle down so I can wander around the dining room, picking up trash and refilling napkins. The door dings and I glance up. It’s him. Ethan. He’s concentrating on his phone, his baseball cap shielding part of his face, so he hasn’t spotted me yet. I spin and try not to run to the back room, hoping that Pearl can take his order. Great, she’s on the phone. Standing taller, I walk to the register. I can do this. “May I help you?” I hope my voice didn’t come out as stiff as I think it did. It amazes me how many people order this pizza. I thought it would look better than it sounds. Not even close. “To go?” Hope rings in my voice. He smirks. “Dine In,” and he throws some money down on the counter. This may be my shortest employment yet. 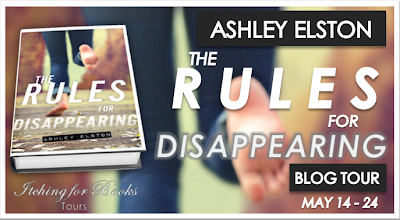 Ashley Elston lives is North Louisiana with her husband, three sons and two cats. She worked as a wedding and portrait photographer for ten years until she decided to pursue writing full time. Ashley is also a licensed Landscape Horticulturist and helps her husband run a commercial lawn and landscaping business. They also custom harvest pecans and have cows. Yes, cows. I love great sibling relationships in fiction, and I think I'll enjoy reading about Meg and her sister. Great review! It's great when characters work and have great relationships both family and romantic. Ethan sounds great! There are never enough good boyfriends in YA. I get tired of the bad boys. Love the supportive ones. I really, really liked this book! I can't wait for book two (really, I can't), and I just LOVED Ethan! Great post!